Scalp micropigmentation is a new technique and it is one of the coloring and dyeing skin techniques. The (SMP) is much similar to the different type of tattoo, this idea has come by considering that head scalp consist of the same skin layers that covers our body. How this surgery is done? And what are the details that related to it? As we mentioned before that (SMP) is similar to tattoos, also it is stimulate the normal hair look after shaving it. In contrast to traditional tattoos, we use the color pigments in the first layer of the skin instead of the second layer. Also, there is another difference in (SMP) that is we do not use permanent dyes, but we use anti-allergic reactions, these dyes do not cause any side effects on human body. This dye that we use in the (SMP) technology is extracted from madder plant, which is the base of almost every dye, also it has been using in many industries such as textile industry. However, medical pigmentation are produced in laboratories and they contain special materials that suits the skin tissue. The scalp micropigmentation treatment is applied in two or three sessions, every session takes couple of hours and the result will remain for (1 to 3) years. But with time passing the pigment color will disappear, so we have to do (SMP) again. Can we apply Scalp Micropigmentation instead of hair transplant? 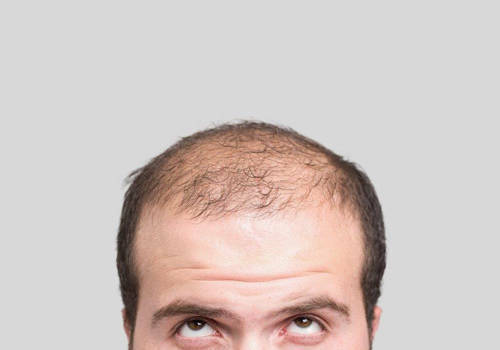 Hair transplantation is a surgical technique, which include taking hair follicles from the back side of the head scalp (Donor area) to the boldness area (receive area). After few months the transplanted hair start growing and new hair will cover the gaps. The main condition to do this surgery is a heavy donor area which have enough amount from follicles. In some cases, the follicles in the donor area may not be enough to do the operation, so in this situation the patient will seek to other solution. For example, using artificial hair or hair extension, or they will get used to live with light hair and gaps. Hair problems may cause psychological problem since such patient look much older than they actually are. So in this situation the (SMP) technique could be an alternative solution for patients who can't do the hair transplantation. 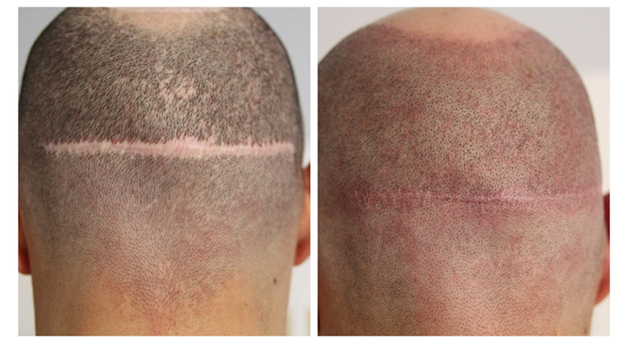 What are the cases that the patient could do the Scalp Micropigmentation? The donor area is not enough or the patient suffer full hair loss: if the donor area have low density and we can't take grafts rom it or the patient have big boldness area, so in this situation we can depend on the (SMP) technique. Early hair falling: in this case we can't do the hair transplantation because of hair falling in early stages, so we will use the (SMP) technique. Covering head scars: we can use this technique to hide scars from previous surgery or hair transplantation by FUT method. After hair transplantation: sometimes the grafts we take from the donor area may not be enough so we need another treatment to booster the visual density and give the patient full covering. As a result, we merge the (SMP) with hair transplant. 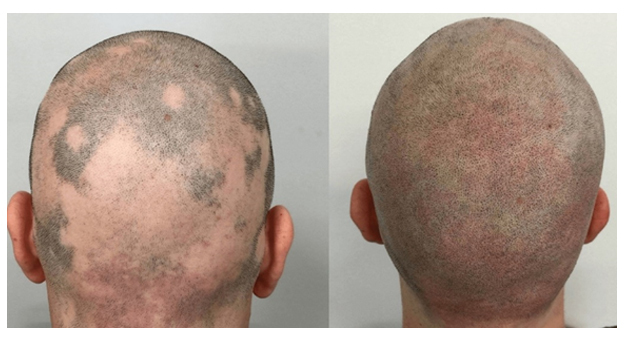 For alopecia patients: the (SMP) technique offer a good way to cover the gaps that resulting from alopecia and these gaps are outspread in the head scalp. Hair transplant or Scalp Micropigmentation? If you suffer from hair loss and want suitable solution to this problem and you are confused between hair transplant and scalp micropigmentation, here we will look at both treatment options and help you to determine which would be a better choice for you. The main factor that will help you to decide which method is better for you, is that if you want to have a hair you want to do a style for it or not. If you prefer to have heavy and natural look, so in this case hair transplantation is the best choice and this depend on having a good donor area. On the other hand, if the patient have a full boldness or semi-full, we do not prefer doing hair transplantation because the donor area will not give us enough number of grafts.In the hair transplantation you will have a real hair that it can be styled, but in scalp micropigmentatioon it is just about ink coverage you can't modify it or even deal with it as a real hair. Hair transplants are excellent if you have a viable donor area. However, you may suffer some problems. On the other hand, the (SMP) consider affective to cover hair falling in the cases we have mentioned before. With (SMP) yo are not actually getting your hair back, it is more of a cover-up procedure, whereas a hair transplant will give you real hair that you might be dreaming of.